A buff and meaty (operative word: fat) Batman and a physically-fit Superman will grace the magazine cover of Empire Magazine for their upcoming September issue as a tribute to the superhero movie "Batman V Superman: Dawn of Justice". Batman is being played by Ben Affleck while Superman is played by Henry Cavill in the Zach Snyder direction/supervision movie. The movie "Batman V Superman:Dawn of Justice" is slated to a March 2016 showing. 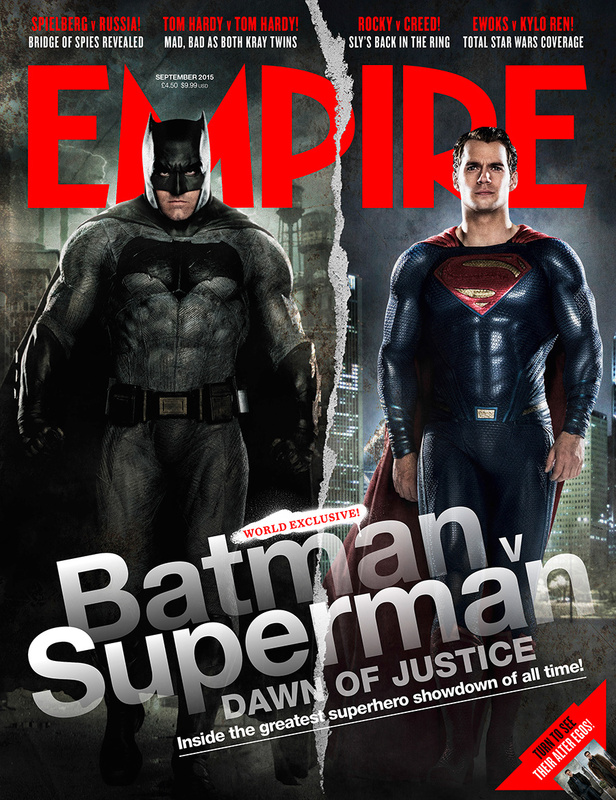 Below is the upcoming Empire Magazine cover featuring Ben Affleck as Batman and Henry Cavill as Superman. This issue of Empire Magazine will be out this September on your favorite magazine and newsstand. (Photo courtesy of Empire Online).